Dare County School Technology Services supports all areas of technology throughout the district. Our goal is to provide reliable technology services and support in a way that enhances the classroom learning environment. This includes support for networking and VOIP, hardware, software, enterprise system support, and cloud based tools. We provide support for classroom technology as well. The department also supports enterprise applications including Google Apps for Education (GAFE) and department based solutions. Our Technology Facilitators and Media Coordinators do a fantastic job of distributing over 3,000 Chromebooks each year. Learn more about the process here! 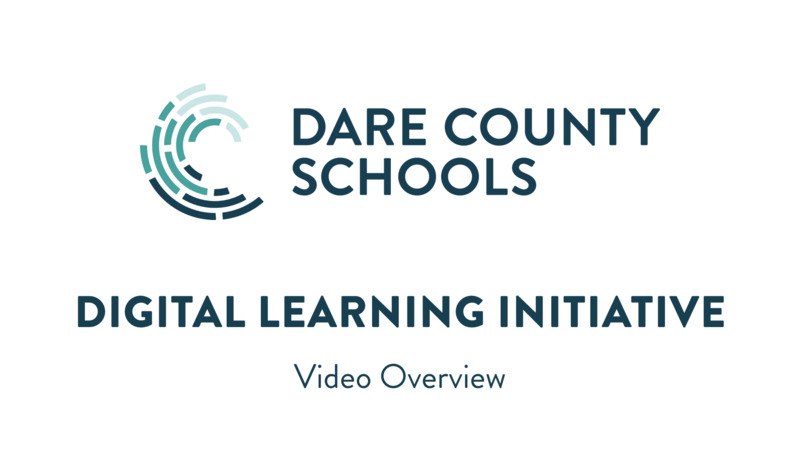 In keeping with its Strategic Plan, its mission to Educate Every Child, and its vision that "all students will graduate on time, prepared for college, careers, and life," the Dare County Board of Education is committed to providing digital learning opportunities. The introduction of a student laptop initiative will greatly enhance the 21st Century learning environment of classrooms in Dare County Schools, providing teachers and students with access to a rich array of educational resources and opportunities. Dare County Schools provides three informational portals for parents and students (Powerschool, Canvas, and Haiku). Parent Portal gives parents and students access to real-time information including attendance, grades and assignments. With the Parent Portal application, everyone stays connected: students stay on top of assignments, parents are able to access their child's progress and grades, and teachers can instantly share information from their grade book with parents and students. Families with multiple students can also set up their accounts to view all of their students at one time with one login. Step 1. Contact your child's school and complete this required form. Step 2. A code will be emailed to you. Step 3. Follow the instructions below for each portal. Visit the Dare County Schools PowerSchool Login and click on the Create Account tab. Follow the instructions on the web site to complete the registration process. If you already have an account you can login and add your child. If you have any additional questions about powerschool you can click on this link or you can contact the school that your child attends. Visit the Canvas login page and click on the Parent of a Canvas User to create a new account. Follow the instructions on the website to complete your registration process. If you have any additional questions you can click this link or you can contract the school that your child attends. Use the information below to add Zscaler to your personal computer. Need Help with district technology? Submit a request to our Technology Support Helpdesk.